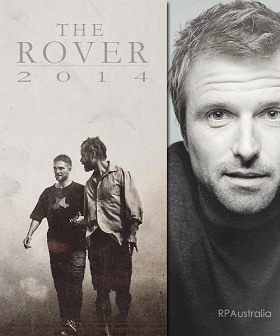 Jason Ward of ‘Oh Comely’ chats with David Michôd about his latest film, ‘The Rover. Very thought provoking and insightful interview. Eric has an immediately negative impact on almost everyone he meets. Why do you think that is, and what were you trying to express through his effect on others? It’s almost as if anyone who drifts into Eric’s orbit comes undone, and I think in part that’s because he has detached himself from community. The movie is actually full of people in pairs or small groups, people who are in very trying, challenging circumstances, and have found themselves clinging to other people for sustenance, even just emotional sustenance. Eric has cut himself adrift from that and as a consequence has become poisoned and embittered. This is precisely where his relationship with Rey becomes the meat of the movie. The violent episodes in the film feel unnecessary – I don’t mean that they’re gratuitous, but rather that if Eric spoke to any of the characters he meets for more than a few minutes things wouldn’t have to end in bloodshed. It’s also the electricity of anger as well. There’s a scene towards the end in a house where you can feel that it’s Eric’s presence that makes it feel lethally electric in a way that it wouldn’t if he hadn’t been there. It’s the contagious buzz of rage. Aside from a few key moments you give very little information about Eric or his motivations and history. Why did you decide to do that? I wanted Eric to be a very elemental and mysteriously unavailable shell of a man who you would come to discover over the course of the film in bits and pieces. I felt like there was a dangerous power in that kind of character, someone who keeps everything hidden and is wound very tight and pulsing with this electric anger. It gives you the opportunity to play with a character who is unpredictable, and unpredictable characters can be the most compelling ones. Eric is contrasted against Rey, who is slow-witted and impressionable. There are so many problematic depictions of intellectually challenged characters in cinema – how did you navigate that? In some ways I let the nature of that character’s relationship with Eric inform what he needed to be. One of the things I loved about Rob’s audition was that it was clear to me that he had read the script in a way that suggested he’d been thinking about the ways he needed to interact with Guy’s character. Rey couldn’t just be profoundly intellectually challenged: he needed to have the capacity for speaking a foreign language or to challenge Eric when necessary, or to concoct a plan or have a rich imaginative life. I remember when I first started talking to Rob about playing the character. We were both aware that there was a very fine line we were treading and so instead of thinking about different forms of mental handicap I asked him to go away and watch a documentary called Bully that was made a few years ago, that’s about the ways in which badly bullied children react emotionally to the people around them. Quite often these kids are very bright but they’ve just had their social skills beaten out of them. They don’t know how to be in the world. I always imagined that Rey had grown up in a deprived, rural childhood, probably hadn’t gone to school, had never really had to fend for himself, and who has almost as a default setting this compulsion to cling on to more powerful people, such that he doesn’t recognise that that’s what he’s doing with the man who’s effectively taken him hostage. Like the portrayal of Eric, not a lot of information is given as to what has happened to Australia, except for some pieces of production design here and there. How did you decide when and how to suggest what had taken place? It was definitely a part of the writing process. Knowing that I would be writing a script that would be very lean, it became quite easy to take a step back from it and look at the screenplay as a whole, and identify just on a rhythmic level where certain pieces of the poetry or information about the world needed to be positioned. I never wanted any particular scene to feel too dense with world information – I wanted it to be sparsely dotted throughout. Then I judiciously positioned certain things. For instance, there are bodies that have been strung up on poles at a particular point in the movie, when Eric and Rey in their very unlikely relationship are now out on the road together, and I wanted to make it very clear that this is an incredibly dangerous world of brutal recrimination. Or later in the movie Rey is in the car singing a song, and that was a little piece of information about the world: there are still radio stations, and that level of infrastructure is still there. It also functions on a character and emotional level because it’s there to remind the audience that Rey is just a kid who in different circumstances would be doing kid stuff. That also has implications for Eric: in order for him to be dangerous he has to be outside of the social structure, which means a world that has at least a small amount of order. Yes! That was why I felt it was so crucial that when his car is stolen at the start of the film the gang doesn’t kill him. I remember one person asking me once,“Surely they would have shot him?”, and for me it was absolutely imperative that they not do that, because that’s not what people do in the world today. That’s just a movie thing. It was important to me that the gang would do what I would if I was in their weird, desperate situation. If I didn’t have to kill him, I wouldn’t kill him. I’d drag him off the road and run away. It was important that that was the case because when Eric starts killing people you know how transgressive his actions are, that he exists outside the civility of the world. Posted in Press, Sites / Blogs, The RoverBookmark the permalink.